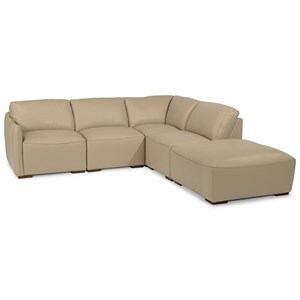 This casual sectional sofa features a large furniture construction making it the perfect item to seat six or more guests. With a style that is warm, luxurious and welcoming, this couch will make family members feel at home while eliciting a style of casual sophistication. 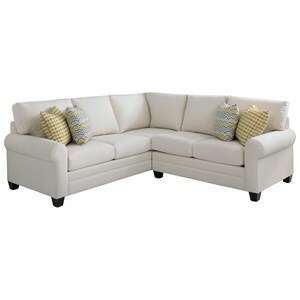 Pillow style seat cushions, arms and backs create a sink-into comfort the whole family will enjoy while an extended chaise component allows the option for one family member to sprawl out and relax. 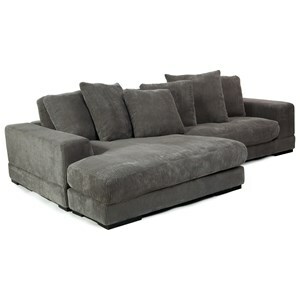 Complete with wood feet and visible seam stitching, this large corner couch will decor homes with comfort and style. 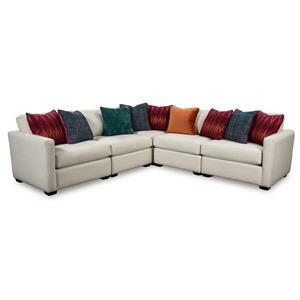 The 2736 Comfortable Sectional Sofa with Right Side Chaise by HTL at Fashion Furniture in the Fresno, Madera area. Product availability may vary. Contact us for the most current availability on this product.